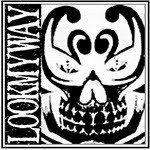 Look My Way announced it plans to hit the studio in October to record bands first full length entitled 'Mentality'. The band will work with Manuel Cohnen (The Ice, The Platoon, EBH and more). According to bands Facebook page; "90% of the songs are written, now we use the remaining weeks to sharpen the tracks and maybe write 2-3 songs for split releases & compilations. Further information within the next weeks!"